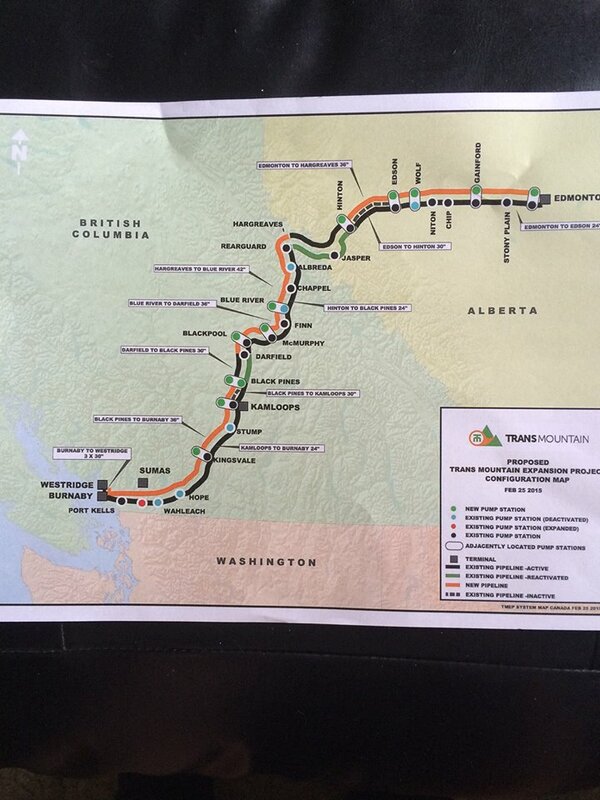 Ottawa – The Federal Court of Appeal says the Federal Liberal Government failed to adequately consult with First Nations and other stakeholders before it approved the Trans Mountain pipeline project. Ottawa must resubmit the project to the NEB (National Energy Board) for approval. In effect, everything went from a holding pattern to “quashed”. This ruling will likely be appealed to the Supreme Court of Canada. It’s long legalese but you can read the ruling here. This is did not affect the outcome of the shareholders vote over the sale of the company to Ottawa. That sale is for the current pipeline and NOT the expansion. Kinder Morgan posted to social media that 99% + of shareholders voted to sell the Trans Mountain project to Canadian taxpayers. There was no mention of the federal court ruling. Insiders say the meeting was over in 3 minutes. Chilliwack City Councillor and FVRD Chair Jason Lum: I have repeatedly raised issues with this process, in particular about the routing and environmental concerns around our drinking water. I brought these concerns to Council, I brought them directly to the NEB, the Ministers responsible, the Company, and even wrote directly to the PM office asking for clarity. Never did receive a response, with the exception of the NEB who told me to “Google my questions.” I’m glad the participants in the legal case had more success in raising their concerns. People in Chilliwack should thank in particular the The Stó:lō Collective and the Coldwater Indian Band for their efforts in raising concerns around lack of consultation and environmental issues around routing through drinking water aquifers. I suspect there will be plenty of politicians jumping on the bandwagon to bash the company and the Federal Government for how they handled the file, certainly it was much harder to ask the tough questions a few years ago when everyone was lauding the company and the project and building expectation in the community around benefit payments and projects that may now never transpire. I know some people are celebrating today, but before you do – I’ll remind you of two things 1) for many this project represented a great opportunity for a better job, economic opportunities, and a brighter future. I won’t be celebrating the loss or delay of those opportunities, instead I hope people on both sides of the issue can use this time to work together to seek out common ground and find new opportunities, perhaps ones that don’t represent the same kind of risks 2) About 30 minutes after the decision was rendered the shareholders of Kinder Morgan Canada, in a special meeting, overwhelmingly approved the sale of the project to the Government of Canada. We now own this mess of a situation. Chilliwack City Councillor Candidate Louis De Jaeger: In no way do I speak for the government of Canada or the Liberal Party of Canada in any official capacity. After listening to finance Minister Morneau on TV this morning, the government clearly acknowledges that indeed they inherited a flawed NEB process. Federal Court of Appeal heard the voices of Indigenous people. A better process of meaningful consultation is still needed. “This case has been led by First Nations asserting their rights. We joined the case to defend British Columbia’s interests, and to highlight the risks to the province’s environment and economy. “Many British Columbians have been saying that this project would create serious risks to our coast. Today, the court has validated those concerns. Ecojustice, Living Oceans Society and Raincoast Conservation Foundation — conservation groups who fought the approval of the Trans Mountain pipeline project in a historic hearing last October — are calling today’s Federal Court of Appeal ruling “a critical win” for communities, the climate and the coast. Green Party Leader Elizabeth May (MP, Saanich-Gulf Islands) says the Trudeau Liberals must now face reality, cut their losses and walk away from the Kinder Morgan pipeline project after the Federal Court of Appeal struck down the permit authorizing the project. Be the first to comment on "Reaction On Ruling – Feds Failed To Consult First Nations -Trans Mountain Project Quashed"